Anyone know if they are having the same problem? Installed madjax A arm 6” lift kit for Yamaha drive. Put the tires on and they are rubbing against the spindle. I’ve tried it with original tires and the new 20x10x10 tires. 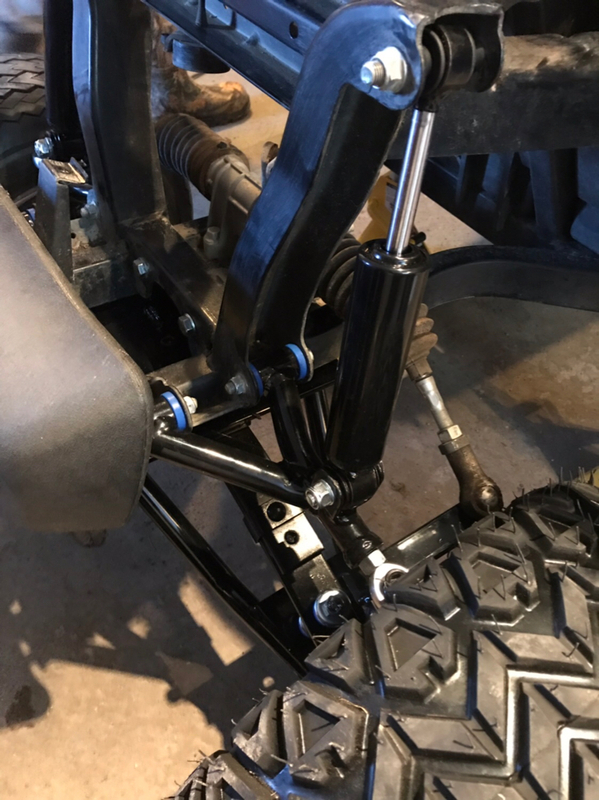 The backspacing of the wheels may be incorrect for the lift kit. You might need to install wheel spacers. I would only space as much as you need to clear the suspension, because the spacers add stress to the wheel bearings. I had to add 1" spacers to the rear of my ydre because the rear tires rubbed the inner wheel well under high suspension flex. My studs aren’t long enough to add a spacer in the back of the wheel. Looks like it needs Larger diameter wheels, are those 10” rims? Most wheel spacers mount to your existing studs and have new studs for mounting your wheels. Check with the site sponsors. I know ecartparts.com has some. 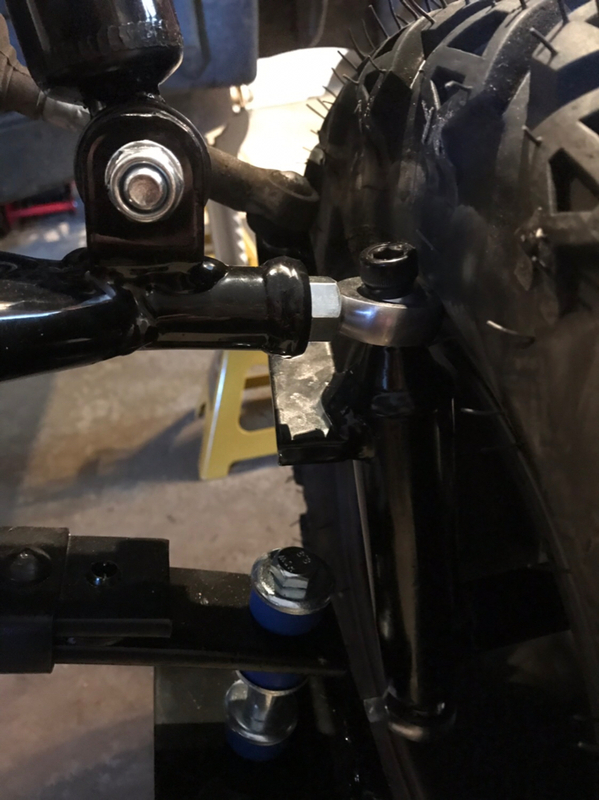 Yamaha Drive Suspension Ideas? and tire and wheel? on Yamaha Drive with a 600cc motor On Road Golf Carts!